What On Earth Is Gutenberg? Now, you’re probably wondering whether or not this is something you should install, but before I dive into that, I want to give you a brief overview of what Gutenberg is. WordPress was initially released back in 2003, and although it has gone through some incredible overall changes as a platform, the classic posts & pages editor really haven’t seen all that much change. Sure, it’s gotten better at things like dynamic text and the ability to add photos and videos right into the body of the text, but in comparison to other website platforms like Squarespace and Wix, it’s downright archaic. This blog post was written and composed using Gutenberg. and while it’s not a perfect solution to WordPress’ default editor, it’s definitely an improvement. This is ultimately a question that you will need to answer for yourself, but in the long run, I recommend getting to know how it works since once WordPress 5.0 is released (in the next few months), this will become the default post and page editor for WordPress. 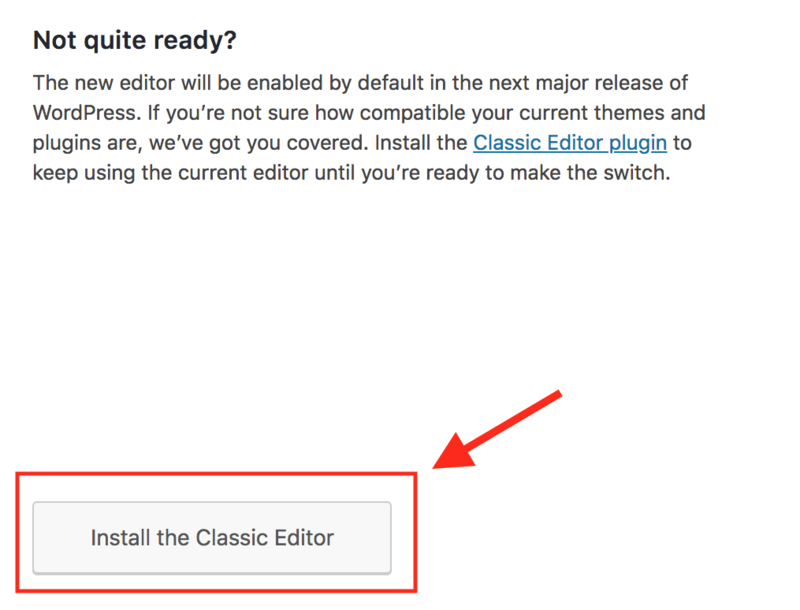 If you’re not quite ready for that change, WordPress has been kind enough to include a “Classic Editor” plugin that will allow you to keep on using the same old editor you’re used to… at least for a while. If you’re not quite ready to try out Gutenberg, the good news is, your classic editor is still in place until the WordPress 5.0 update is released, so you don’t have to do anything until then if you don’t want to. In the meantime, keep a close eye on your WordPress installation because the update is coming soon! 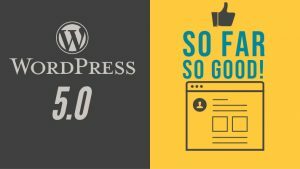 Wordpress 5.0 is coming tomorrow (Dec 6)! Here’s our thoughts on whether or not you should update right away. Does My Website Really Need An SSL?